Learning to live without need or want of addictive substances is a cornerstone of sobriety. 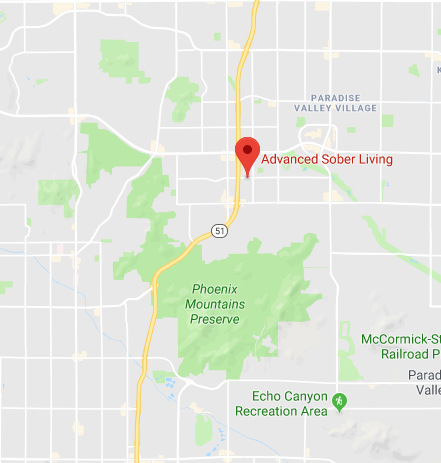 At our sober house in Phoenix, AZ, Advanced Sober Living helps men acclimate to a comfortable daily lifestyle, completely free of drugs and alcohol. Through this environment, our guests find peace and focus, while leaving behind the desire for vices that drive them to addiction. Set in a comfortable, home-like environment, our sober living program is designed to support men through the challenges of early sobriety and assist them in developing skills that will prepare them for independent living. Within the framework of a structured, yet supportive community, you are given the time, tools and support to continue healing while learning to live a new way of life. Within a short period of time, you’ll be working a program with a sponsor, finding employment and exploring educational opportunities, and returning home to re-integrate with your family and loved ones. By sharing your desire for sobriety—along with its struggles—with your support system, you’re able to resist relapse and remain on the track to betterment. Maintaining sobriety means being able to live fully after addiction. For our residents, this means holding a job, seeking education, becoming financially stable and/or pursuing their passions. We strive to provide you with all of the tools and resources you’ll need to be successful in sobriety, so you can live life fully after addiction. For more information about our sober living program and the many resources we offer to help you get your life back on track, please contact us today at 602-368-3679.